The Violence Prevention Research Program (VPRP) at UC Davis and the Johns Hopkins Bloomberg School of Public Health conducted a study about the impact California's gun control laws have had on homicide and suicide rates over the last 10 years. And guess what? 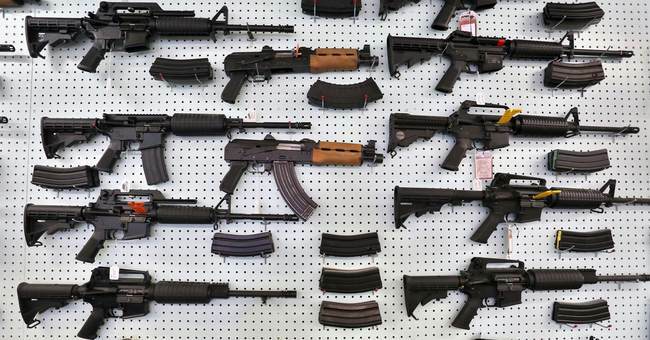 Researchers found that the Golden State's gun control laws had absolutely no impact. And, even more surprising, the study's lead researcher found that the National Instant Criminal Background Check System (NICS) is severely flawed. "It compared observed annual firearm homicide and suicide rates in California over 10 years following enactment of comprehensive background check and misdemeanor violence prohibition policies in 1991 with expected rates based on data from 32 control states that did not have these policies and did not implement other major firearm policies during the same time," researchers explained in a press release. The one issue researchers have with California's laws: the lack of reporting to NICS. Gun rights advocates have long said there is an issue with NICS. If we, as gun owners, have to submit to a background check then the system needs to be whole. Having a system with a quarter of the convictions is useless. Why even have the background check system to begin with? That's why both the National Rifle Association (NRA) and the National Shooting Sports Foundation (NSSF) have long advocated for Fix NICS, which would require agencies to submit 100 percent of their convictions every six months. Even though some gun owners have issues with the NICS system, we need to be realistic. It's not going anywhere. Gun control advocates won't allow that to happen. It's implemented and it's here to stay. If it's going to be in place then we need to do everything in our power to make sure it's as wholesome as possible. None of us want a domestic violence abuser or felon with a firearm. That's something both sides can agree on. If they know that their convictions will be in the system, criminals won't try to purchase guns legally. The black market is a completely different story though.